New York: Malaysia Goodson entered a Manhattan subway station on Monday night pushing a stroller. Her one-year-old daughter, Rhylee, was nestled inside. Goodson, 22, of Stamford, Connecticut, had brought her along on a shopping trip to the city. 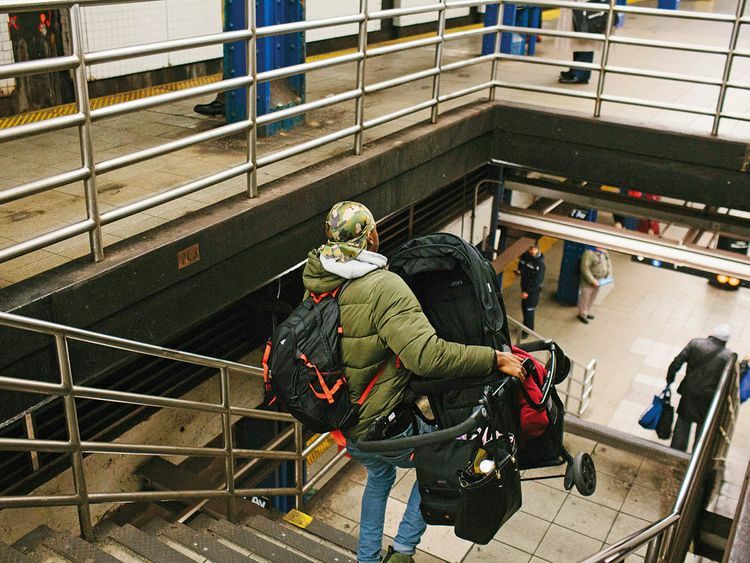 Like so many New York City parents, Goodson faced a familiar but perilous challenge: hauling her stroller and daughter down the steps of a station that, like most stops in the city’s creaking subway system, had no elevator. As Goodson made her descent, she fell, tumbling down a flight of stairs and onto the subway platform at the Seventh Avenue station, at 53rd Street, officials said. Her daughter survived the fall. Goodson did not. “Everybody who has been a parent or a caregiver knows that this is a problem,” said Christine Serdjenian Yearwood, the founder of Up-Stand, an organisation that has pushed to make transit more accessible for parents. “I’ve had a lot of people write and say, ‘This could have been me',” she said. Goodson was a doting parent and an outgoing person, her mother, Tamika Goodson, said. One of four children, she was raised in New York but moved to Stamford with her family nine years ago. After graduating in 2015, her mother said, Goodson had big dreams. She worked for about a year at a day care centre in Stamford, and loved it. But she had also talked about becoming a security guard or a flight attendant. Goodson’s daughter was the light of her life, her cousin, Ronshuana Anthony, said. Goodson’s daughter was found conscious and treated at the scene. She was reunited with her father and grandmother in the city and was doing well, Tamika Goodson said. It was not clear whether Malaysia Goodson suffered a medical condition or if she was killed from the impact of the fall. The city’s medical examiner will determine her cause of death, officials said. While officials are continuing to investigate the circumstances around Goodson’s fall, her death has shined a light on the lack of elevator service and accessibility issues that have long plagued the city’s subway system. The station where Goodson fell does not have an elevator. Only about a quarter of the subway system’s 472 stations have elevators, and the ones that exist are often out of order. “The subway system is not accessible for everyone, and that’s an environment the MTA should not allow,” Mayor Bill de Blasio said on Twitter. He was one of several politicians, including the City Council speaker, Corey Johnson, to call for a more accessible subway system.